Please do me a favor: go buy a bunch of lemons. Don't wait for life to hand you those lemons, go out there and get them yourself! And then make this lemonade. I promise that this is the best lemonade you will ever have. I made it this past weekend when we had family visiting, and Lauren and I could not stop drinking it/talking about how delicious it was! This will definitely be my go-to summer drink! Make the lemon syrup: Bring the lemon zest, 1 1/2 cups sugar, and 1 1/2 cups water to a boil in a medium saucepan, stirring, until the sugar dissolves. Let cool to room temperature. Meanwhile, make the strawberry syrup: Toss the chopped strawberries and the remaining 1/2 cup sugar in a bowl. Gently mash some of the strawberries with a potato masher to release the juices; do not pureé - you want there to still be strawberry chunks. Let the mixture sit at room temperature until the sugar dissolves, about 45 minutes. Strain the strawberry mixture with a fine mesh strainer; reserve the strawberry syrup and the berries separately. Make the lemonade: Combine the lemon juice, lemon syrup, salt, and 2 cups cold water in a pitcher. 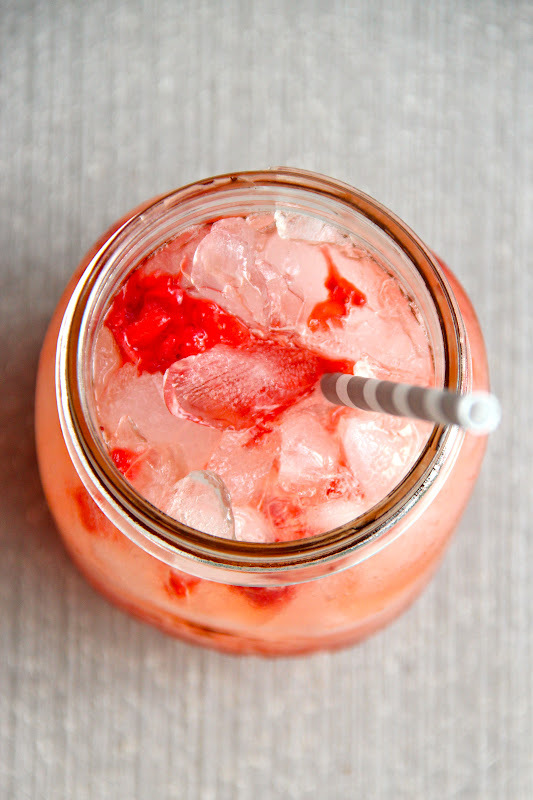 For each drink, put 1 Tbsp of the strawberry syrup in a tall glass. Fill with ice, then top with the lemonade and some of the reserved strawberries. This is HANDS DOWN the BEST. LEMONADE. EVER. Maybe even the best drink. I'm making it tonight and just might end up using all the 8 gallons of strawberries in my freezer that were supposed to be for smoothies all year for this lemonade. 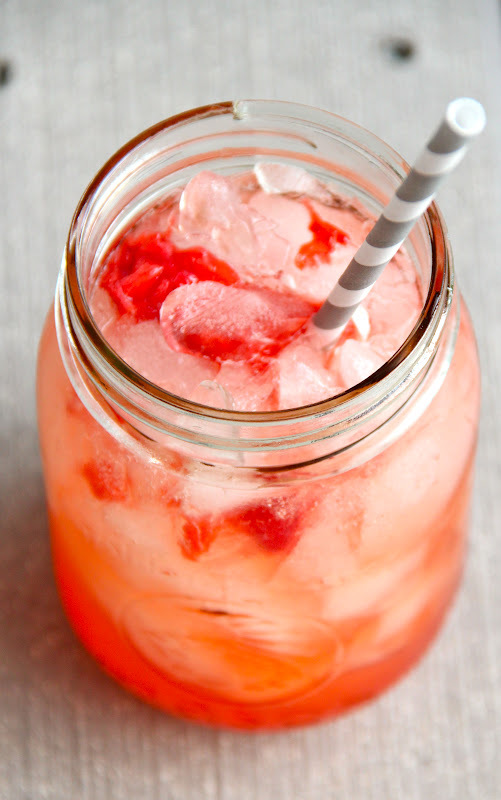 LOVE lemonade in the summer, especially with strawberries. Nothing better! This looks AMAZING! I can't wait to try it!!! You should definitely try it for a bridal shower--it would be a big hit! This sounds so perfect and refreshing for summer! So pretty! A must make. This sounds delicious and looks gorgeous! I'm definitely pinning this! Oh my goodness! I want some! Okay I am taking your word! I am going to buy lemons. This look delicious and refreshing.